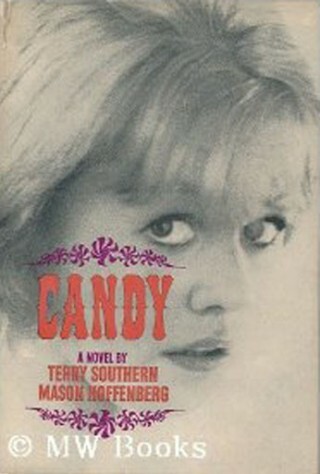 I’ll confess that it’s been thirty-some years since my last reading of Terry Southern’s Candy. I’ll admit that I was fourteen years old at the time. I’ll confess, too, that I only read it once even then, although I feel certain that many key passages were reread several times. I’ll confess, lastly, that I’ll probably never read Candy again. Why, then, is Candy— a pornographic parody— my selection as a book with “some special meaning” to commemorate this auspicious moment, this hurdle, this attainment of tenure at Penn State University? When the new kid, a redheaded boy named Robin, slipped me the already dog-eared book under his desk, in the third row of Mrs. Atwater’s homeroom, just before science class, and I flipped to a random page, opened it slyly on my lap, read, blinked, then read again, “Give me the hump! Give me the hump!” it was my first moment of full-on, unchecked awareness of the power of words, of language, of stories. I took the book home, hidden of course, and read it with a fervor and a delicious desperation that I will never ever forget. When I finished the book, I knew that somehow, someday, I wanted to do this stuff with words. And here I am, Associate Professor Steve, with one novel out in nine languages, another nominated for the Pulitzer by the publisher, and (hopefully!) more to come. Thanks, Terry.